What future can our cities have in the grip of the brick and the increase in urban density? One of the main axes of the Horizon2020 program is that of eco-sustainable solutions (nature based solution) to tackle the social and environmental problems of European cities. The intervention was useful to communicate the work that is taking place in the Metropolitan City of Bologna along with 11 European cities. Three of these act as a pioneer (or "front runners"): Genk, Glasgow and Poznań. Eight are the so-called pursuers (or "fast-followers"): A Coruña, the same metropolitan city of Bologna, Burgas, Ioannina, Málaga, Nicosia, Pavlos Melas, Sarajevo. Also participating in the project are other cities outside Europe, academic partners and small and medium-sized enterprises. 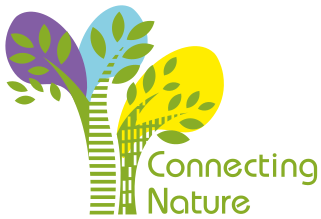 Connecting Nature partners form an interconnected community that fosters peer-to-peer exchange and learning and a transdisciplinary capacity building that will continue until May 2022. The benefits of NBS are manifold: not only environmental benefits (such as attenuation of heat islands and CO2 reduction) but also improvement of the quality of life and business opportunities. So the future of our cities and our businesses is in nature.